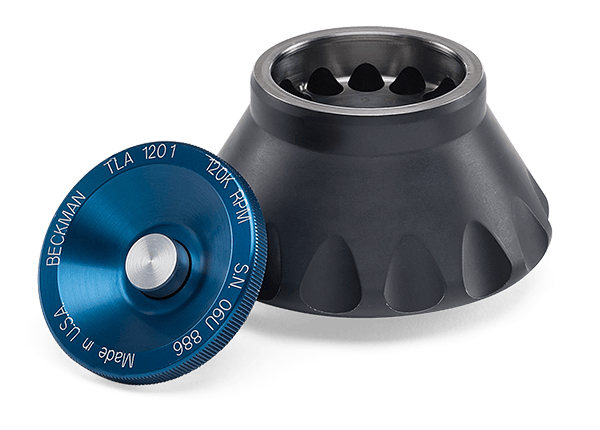 TLA-120.1 Rotor Package, Fixed-Angle Rotor, Titanium. Major applications: Pelleting of subcellular fractions in 5-30 minutes; plasmid DNA separation in 3 hours. For use in the Optima MAX-XP Benchtop Ultracentrifuge, Optima TLX personal micro-ultracentrifuges, Optima MAX high-capacity personal micro-ultracentrifuges, and the discontinued TL-100 and Optima TL personal micro-ultracentrifuges.